Garland is made to order and not returnable. 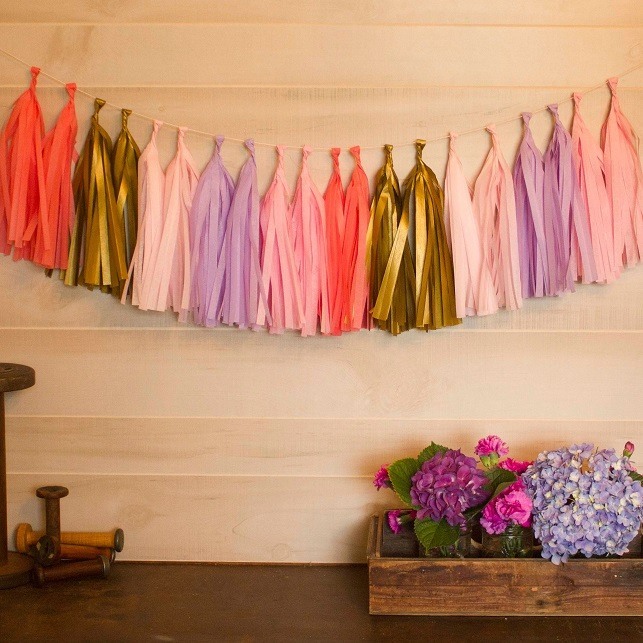 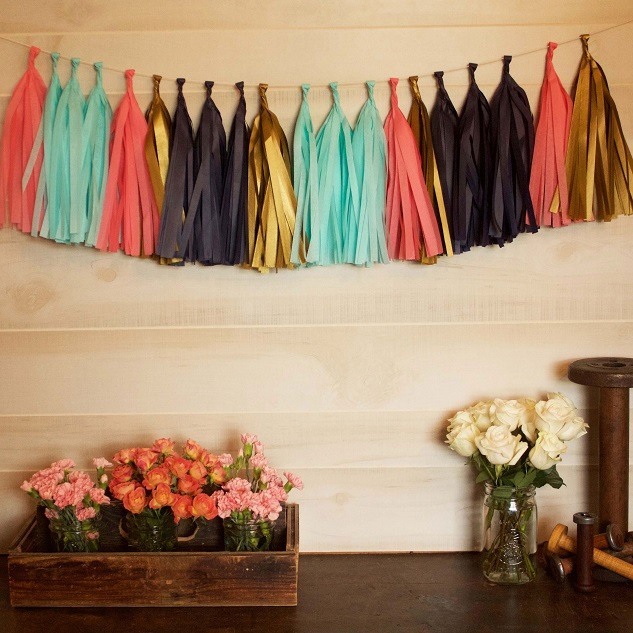 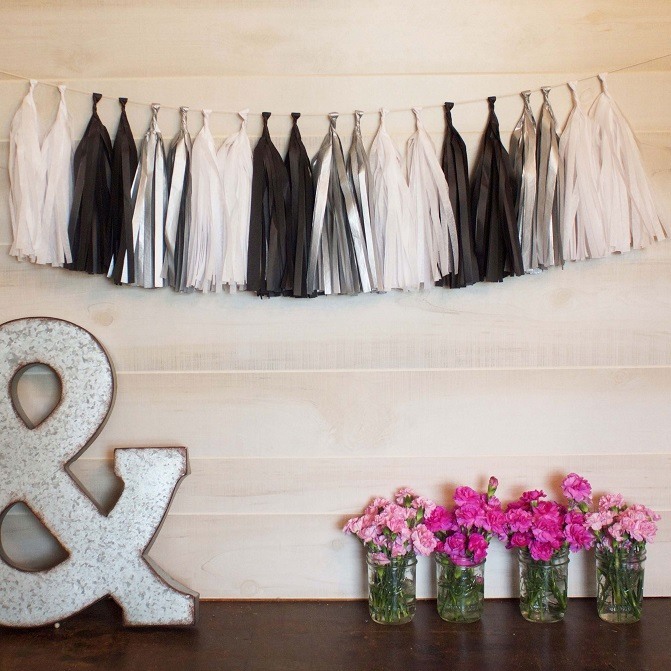 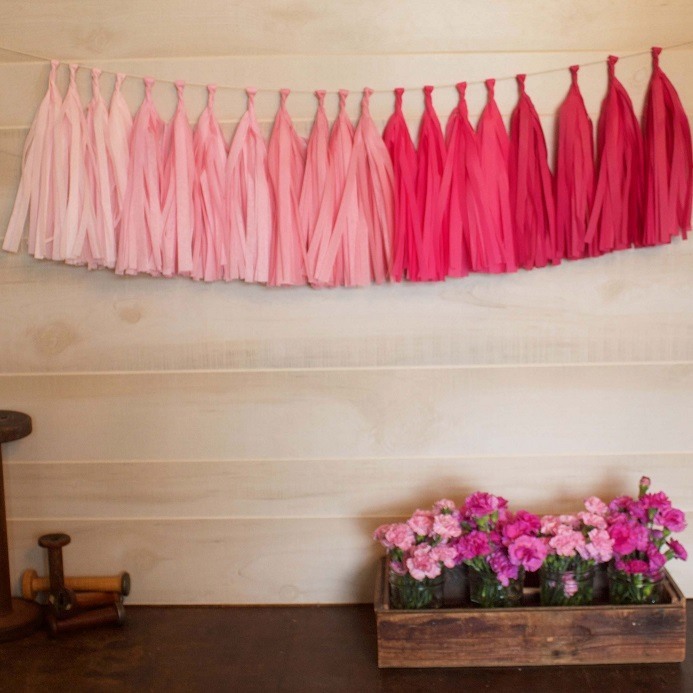 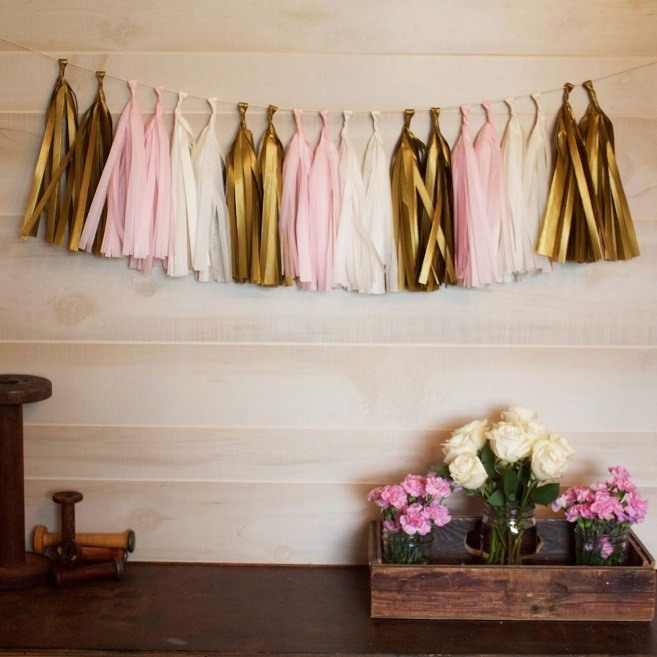 No wedding event is complete without a pretty, decorative paper tassel garland. 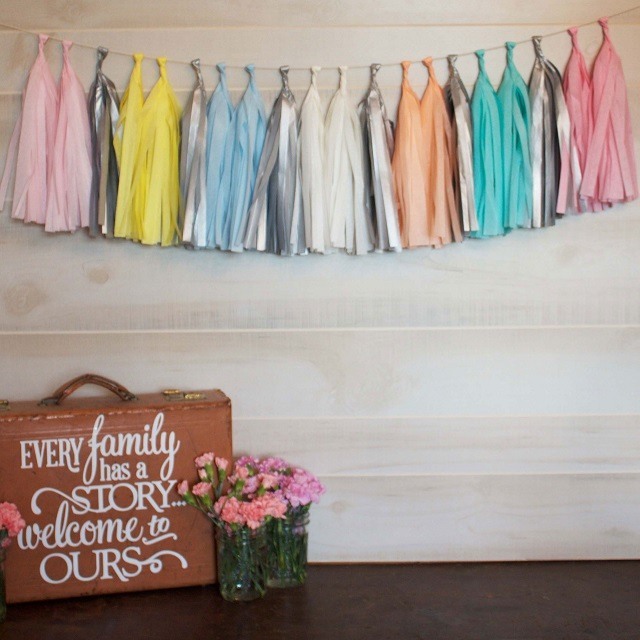 Choose from a varierty of pre-assembled color designs, or customize for your very own unique five color combination. 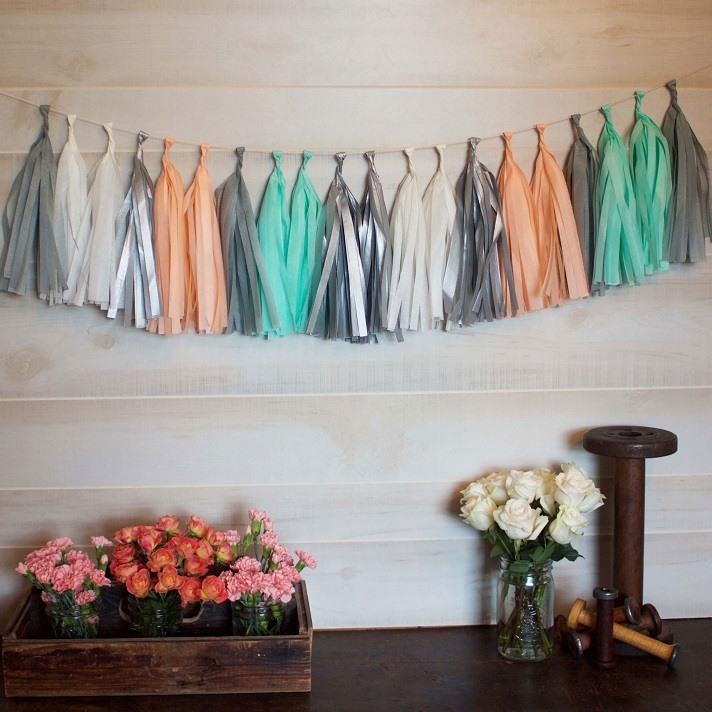 Use to decorate walls, tables, and chairs. 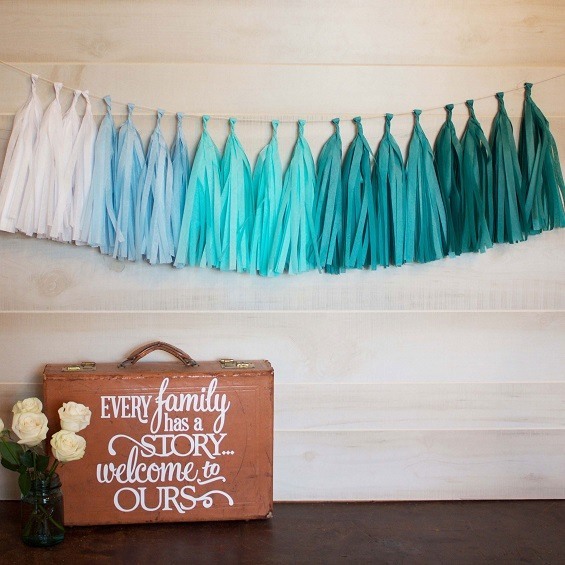 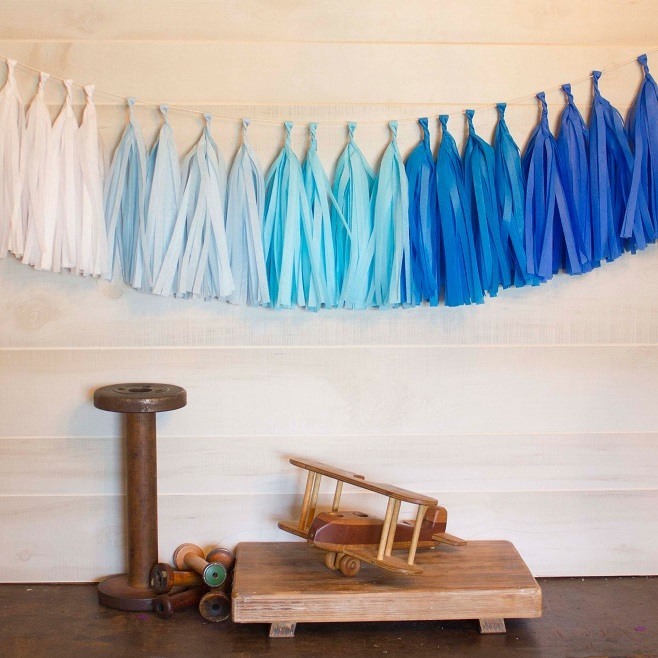 Its beautiful color combination options make it an easy match to any wedding theme.